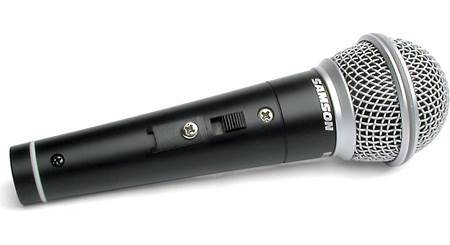 Samson's R21S handheld microphone is optimized for vocals. Its tight cardioid polar pattern makes it especially suitable for singers who need maximum off-axis feedback rejection. The R21S also features a handy on/off switch. 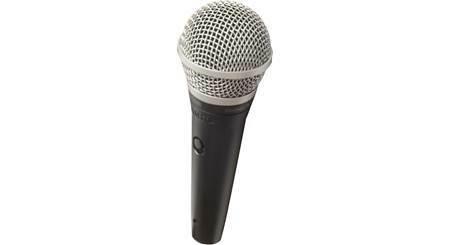 And the shock-mounted capsule, dual grille, and integrated windscreen protect the mic from onstage abuse. does this plug into a xlr cable? 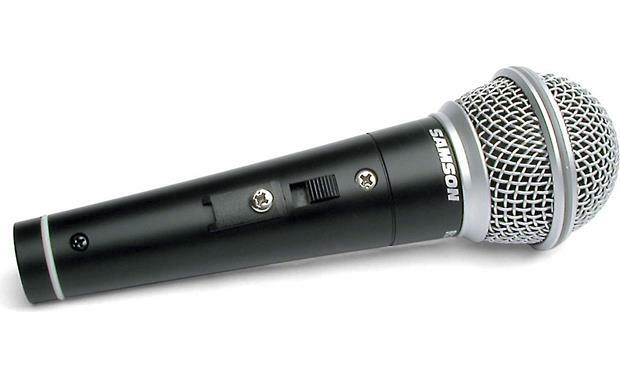 Live & Recording Applications: Samson's R21S is a hand held dynamic microphone that excels in both live performance and recording applications. Equipped with a linear frequency response for superior reproduction, it is also designed to withstand high sound pressure levels. Built-In Windscreen: The R21S has a built-in wind screen which protects against most wind and breathing noise. Under adverse conditions, such as high winds, an optional foam windscreen (sold separately) can be used. XLR Connector & Mic Cable: The R21S microphone is fitted with a gold-plated XLR connector and can be connected to most mixers, mixer/amplifiers, or mic preamps using the included 18' XLR-to-1/4" microphone cable (also includes a 1/4"-to-1/8" adapter). 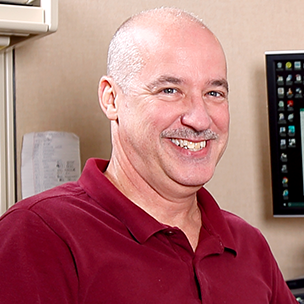 For maximum signal handling capability and minimal distortion, a minimum load impedance of 800 ohms should be used. A reduction in output signal strength and output clipping level will result with the load at 150 ohms. Mounting Options: Lightweight and compact, the R21S can be mounted on any standard microphone stand or can be easily handheld for long periods without inducing fatigue. 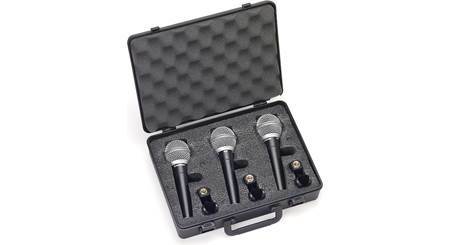 The R21S can be mounted to any standard microphone stand (using the included mic clip) or can be handheld; due to its unique mic element shock mounting, it generates significantly less handling noise than most other microphones. If handheld, take care not to cover the any part of the head grille with your hand. Placement: Aim the microphone at the desired source. Keep unwanted sound sources at a 135° angle from the front of the microphone. Place the microphone as close to the sound source as possible. The closer the mic is to the sound source, the more emphasized the bass response will be. The R21S will boost bass frequencies when the microphone is between 0 to 6" from the sound source. As you move the sound source further away from the microphone, the bass response will gradually roll off. 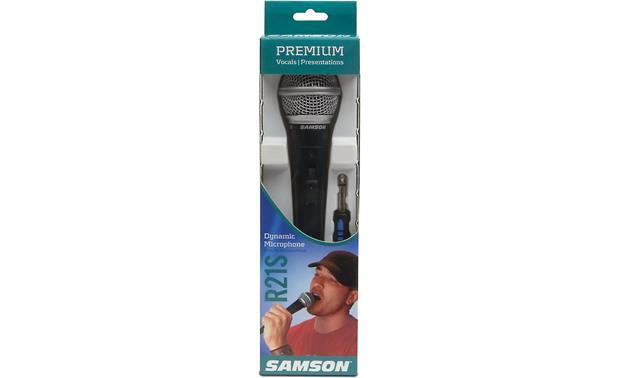 Searches related to the Samson R21S Cardioid dynamic microphone with on/off switch.